Swansea City’s Garry Monk has stated on numerous occasions that the Spanish forward Michu does not play any role in his plans and that the 29 year old attacker is not expected to perform for the Premier League club in this entire new season. West Ham have been linked. 2 penalty kicks from Steven Gerrard gave Liverpool a controversial 2-1 triumph victory over West Ham and even though the match was played a few days ago, there still are complaints and criticism being made involving some of the decision that were committed in the match. During West Ham’s match against Liverpool, Gerrard was awarded with a penalty kick at the 44th minute and the veteran midfielder made no mistake in firing it home but Sam Allardyce and his players responded a few minutes later with Guy Demel as he got the ball into the net of Simon Mignolet. Sam Allardyce wants to bring new arrivals to West Ham and one of the players who is on top of his list is Tottenham’s Kyle Naughton as he could be a long-term replacement for the 32 years old Guy Demel. Some weeks ago Naughton revealed stated that if his situation with West Ham continues going on the way it is then he would leave Tottenham as he has made less than 9 appearances for the club in this season and he wants more playing time. Only a few weeks ago, his job was under threat, but Sam Allardyce has managed to turn things around at West Ham United. 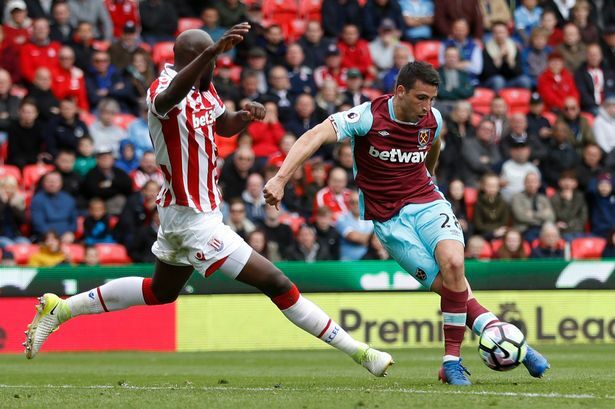 The 2-0 win over struggling Swansea City proved to be the turnaround of fortunes for West Ham, as they managed to win four consecutive matches. This is not the first time that the supporters of West Ham United want Sam Allardyce to be given the axe. This has happened in the past as well and every time, the Englishman has managed to silence his critics. But, one thing is for sure that the current situation is a lot worse than the situations in the past. 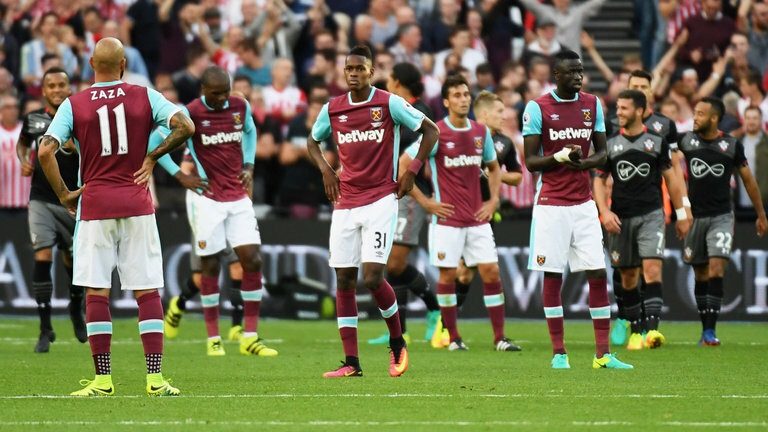 The hammers have been suffering big defeats on a regular basis and their chances of finishing in the relegation zone are looking pretty good. Upton Park team West Ham United is very keen on getting former Manchester United, Inter Milan and Atletico Madrid footballer Diego Forlan. West Ham’s chase of much required striking reinforcements would reportedly see Sam Allardyce making a decision to sign Uruguayan veteran Diego Forlan. The Upton Park team has managed only 9 goals in eleven English Premier League matches and with striker Andy Carroll still out wounded, Allardyce would look to sign a forward during the January transfer window but it is not sure how successful the move would be to get Diego Forlan. Sunderland manager Paolo Di Canio became the first casualty of the season after losing his job a few days ago. He has managed to win just two matches during his six months after the club. Strangely, there has been no great support for the man who has just lost his job. Former Blackburn and Newcastle United manager Sam Allardyce, though, has said that he feels Sunderland reacted too quickly to the current form of the club. He feels that Di Canio should have been given more time. Di Canio came into the club as the replacement for Martin O’Neill at the end of last season. West Ham United manager Sam Allardyce has said that he is surprised by the spending made by Premier league clubs in this transfer window despite the presence of the UEFA financial fair play regulations. The regulations were introduced by UEFA in 2009 so as to bring some sense into the football world. West Ham have confirmed that striker Carlton Cole will leave the club at the end of the season. The 29-year-old striker was out of contract and the club has not decided to renew the deal. This will bring an end to the seven-year stay at Upton Park for the former Chelsea striker. Cole has been an important player for West Ham over the years, but the arrival of Liverpool striker Andy Carroll – on a loan deal – reduced the number of first-team opportunities this season. His form has also suffered as well, as he has scored just two goals in the Premier league season that just concluded. Although there are always lots of rumours on the internet, and within the media in general, about the top sides in the Premier League, most of them revolve around issues like possible transfers and managerial sackings. Behind the scenes though all the clubs are working hard to generate potential sponsorship deals because these can be a serious source of income, and one of the rumours going round at the moment suggests that a top Premier League side may be about to unveil a lucrative deal with Jackpot City.